No doubt a popular tourist destination, Venice can truly be an expensive place to visit. 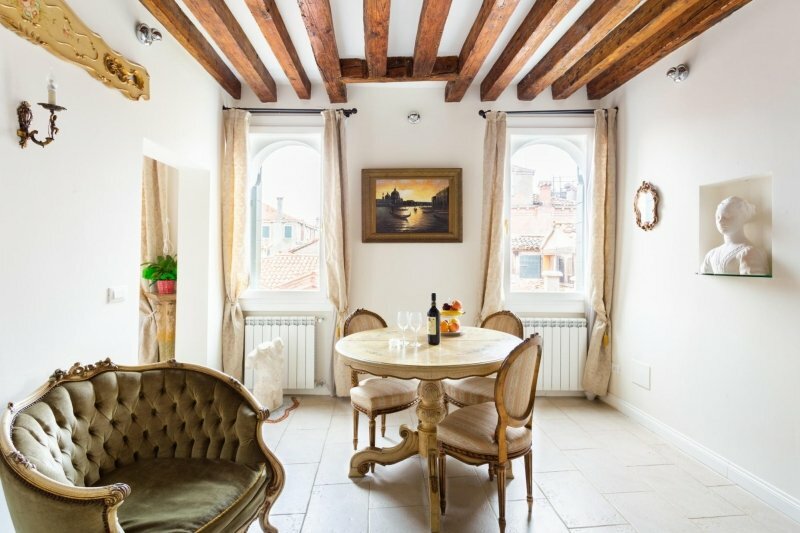 Skip the pricey hotel stay and opt for an Airbnb home in Venice instead! 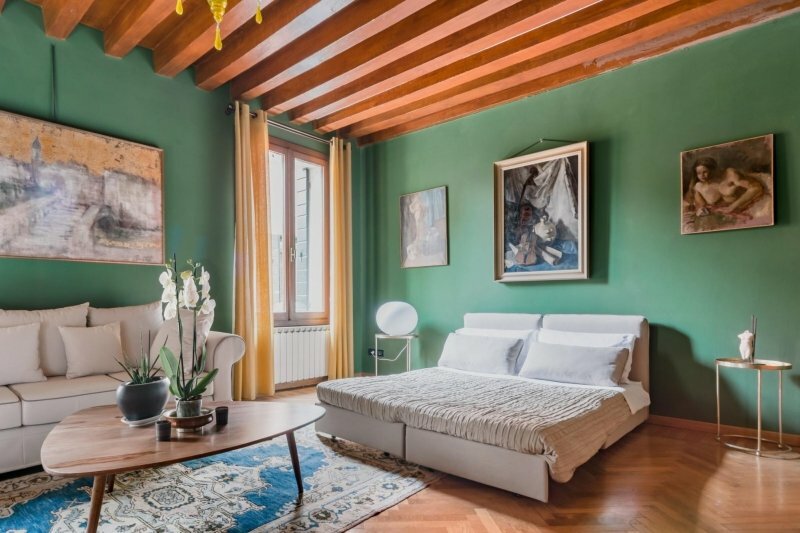 You’ll find that booking an Airbnb can be more wallet-friendly, while providing you with an authentic Italian holiday experience at the same time. 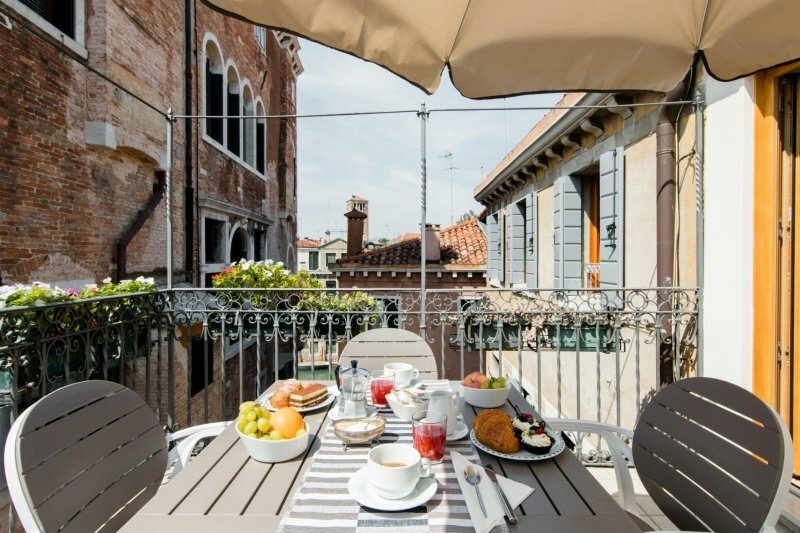 To save you the time and effort, we’ve narrowed down your options to 10 top-rated Airbnbs in Venice. 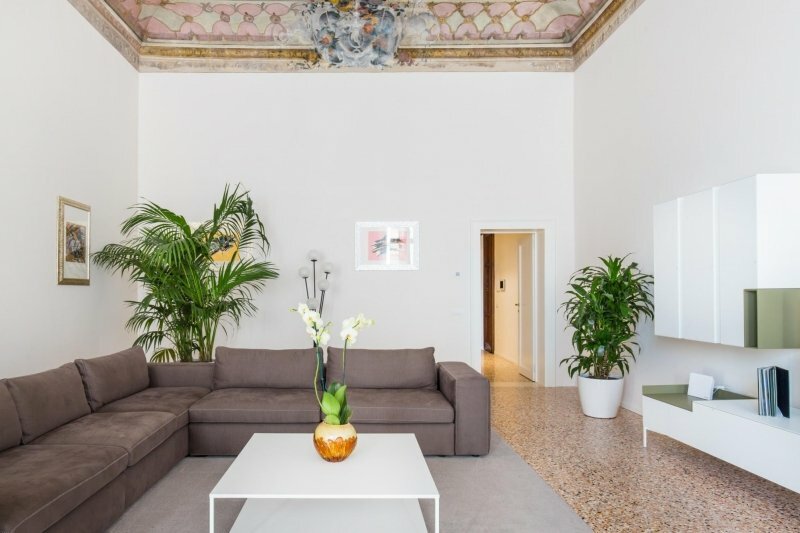 These include homes in ideal locations close to Piazza San Marco, Ponte di Rialto, the vaporetto (water bus) station, and the train station. Check them out below! Planning a romantic trip for two? This apartment is a great pick, especially for couples looking for a quiet getaway. In addition to its homey, modern interiors, you’ll love the cosy rooftop terrace! 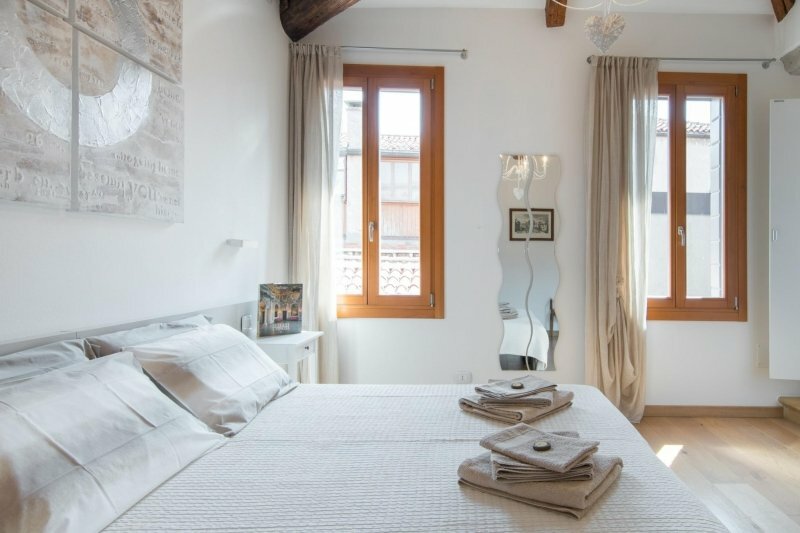 Tucked away from the crowds of the floating city, this Airbnb provides easy access to Venice’s tourist spots, thanks to its proximity to the vaporetto. At the same time, you can also opt to walk to the main public square, Piazza San Marco! Learn more about this Airbnb here. 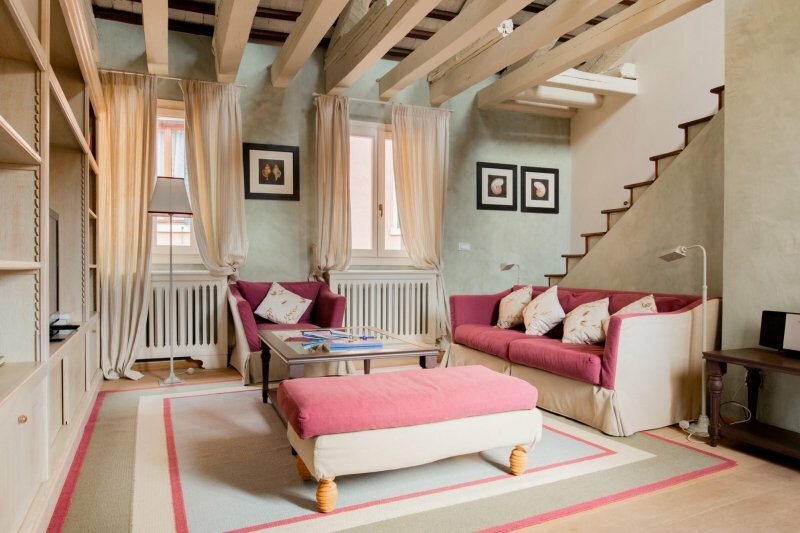 An authentic Venetian holiday awaits you at this charming apartment. Don’t let its Old-World charm and traditional furnishings deceive you — this spacious Airbnb provides everything you might need for a comfortable stay, including a luxurious walk-in shower and a heated towel rack! 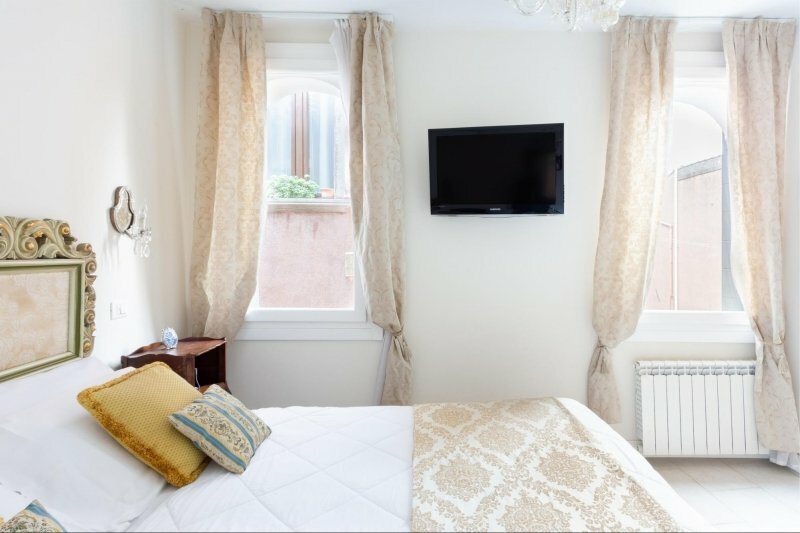 A 10-minute stroll from this apartment can take you either to Piazza San Marco, or Venice’s city centre, the Rialto. Learn more about this Airbnb here. 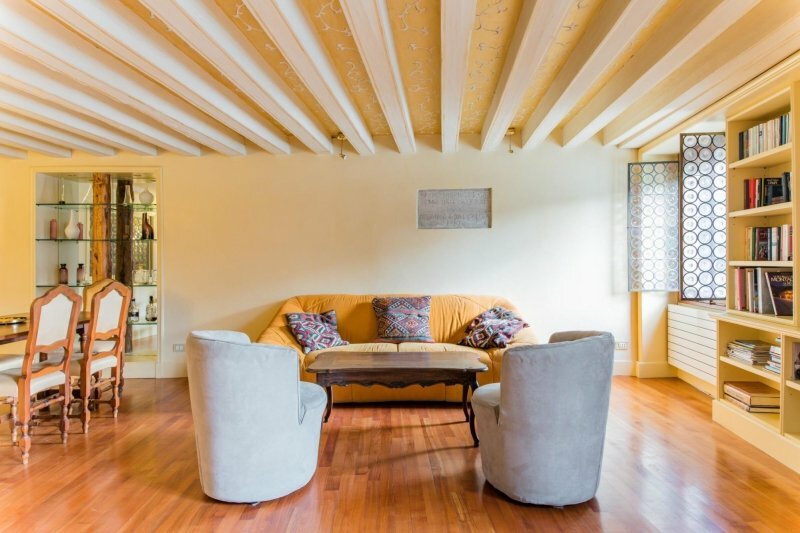 This beautifully restored apartment is located in a 16th-century building formerly owned by one of Venice’s most important noble families. Prepare to be wowed by this luxurious Airbnb — previous guests swear it’s even more impressive in real life! 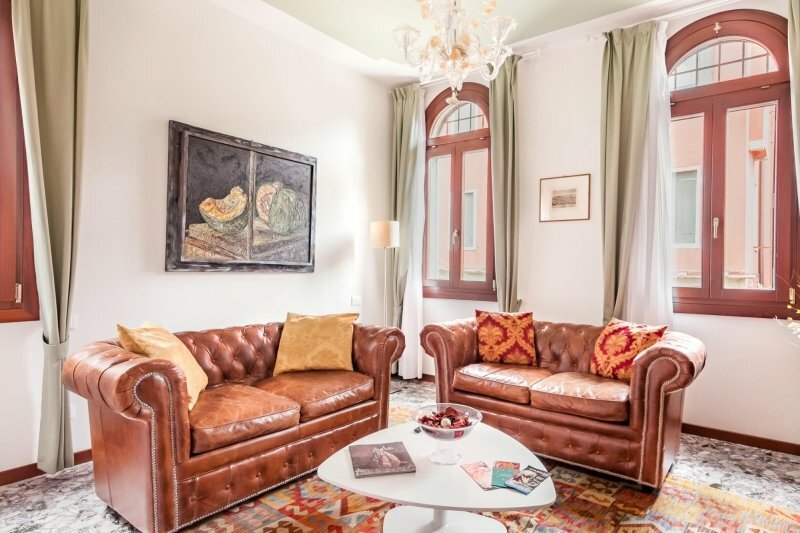 With its high, frescoed ceilings and a gorgeous view of the canal, you’re guaranteed to feel like royalty at this elegant apartment. Just 20 minutes away from the train station and the main public square, it’s also close to lots of restaurants, shops, and the vaporetto. Learn more about this Airbnb here. 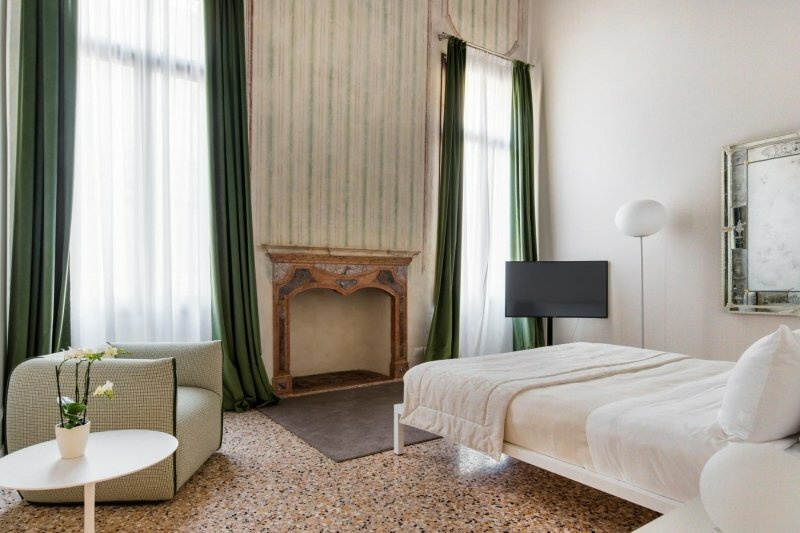 Tip: Airbnbs in Venice that are situated on the main floor are rare gems — you might want to take advantage of this (otherwise, you’re likely to need to carry your luggage up several floors). 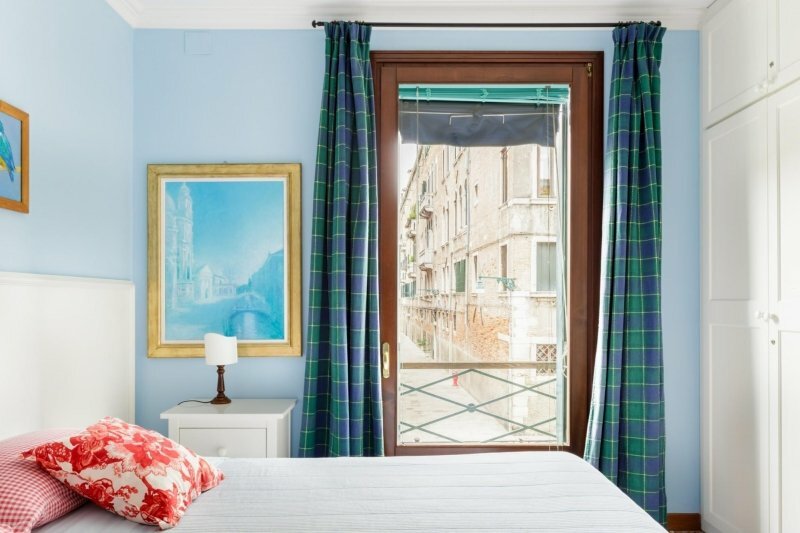 Located right along the famous Grand Canal, this apartment certainly offers some of the best views you’ll find in Venice. With three bedrooms and lots of space, this centrally located Airbnb is ideal for families or groups of friends looking to explore the city. The living room is a favourite spot to hang out, have coffee or tea, and enjoy the view! Learn more about this Airbnb here. 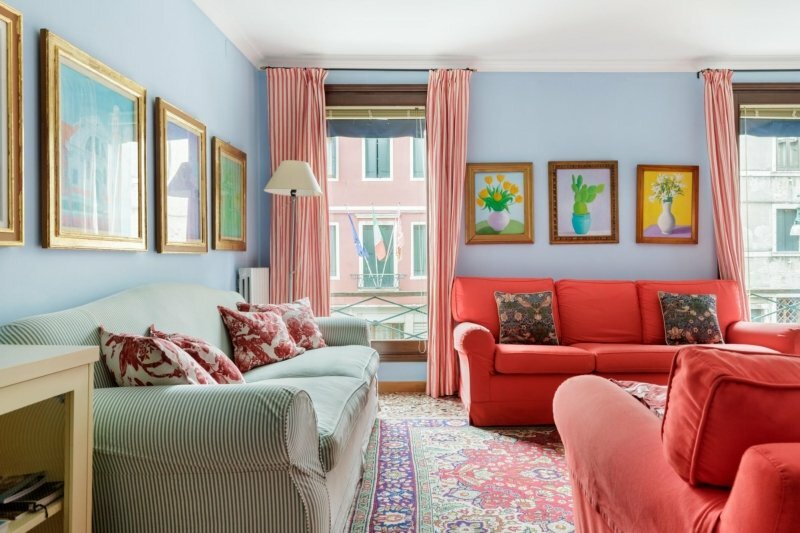 This spacious townhouse is perfect for big families and large travel groups looking to explore Venice from a local’s point of view. 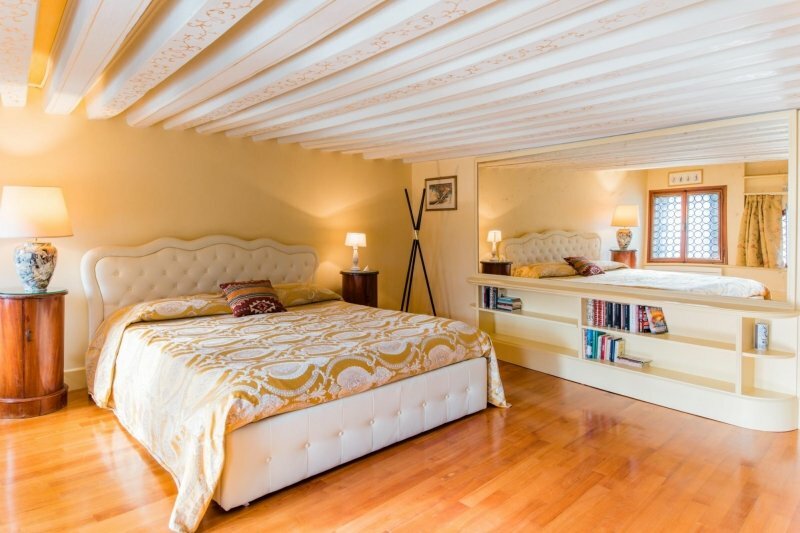 Located in a quiet neighbourhood by the less popular (but nonetheless beautiful) Rio Marin Canal, this Airbnb is a short walk from the train station. This colourful home is filled with homey touches and beautiful paintings. An added bonus? Its superhost Elena welcomes her guests with homemade tiramisu! Learn more about this Airbnb here. Travellers dead set on being close to Venice’s most famous tourist spots need not look any further. 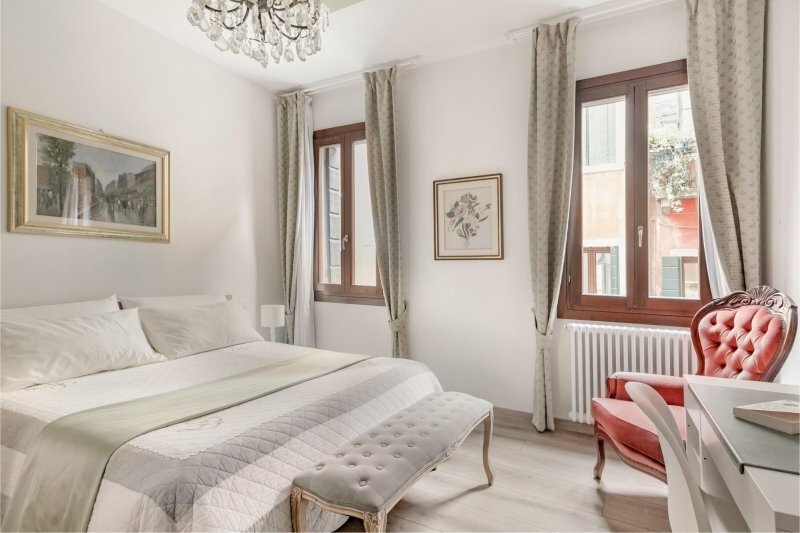 This elegant apartment is five minutes away from both Piazza San Marco and Ponte di Rialto, and just a stone’s throw away from lots of restaurants, shops, and sights. 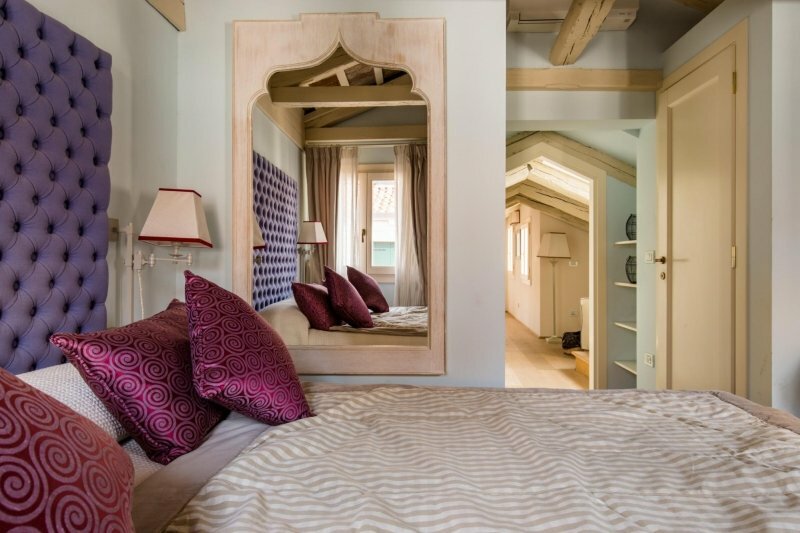 Take advantage of this Airbnb’s perfect view of the gondolas floating along the canal — or complete your experience by booking your own ride nearby! Learn more about this Airbnb here. This Airbnb is the perfect home away from home in the middle of the city. 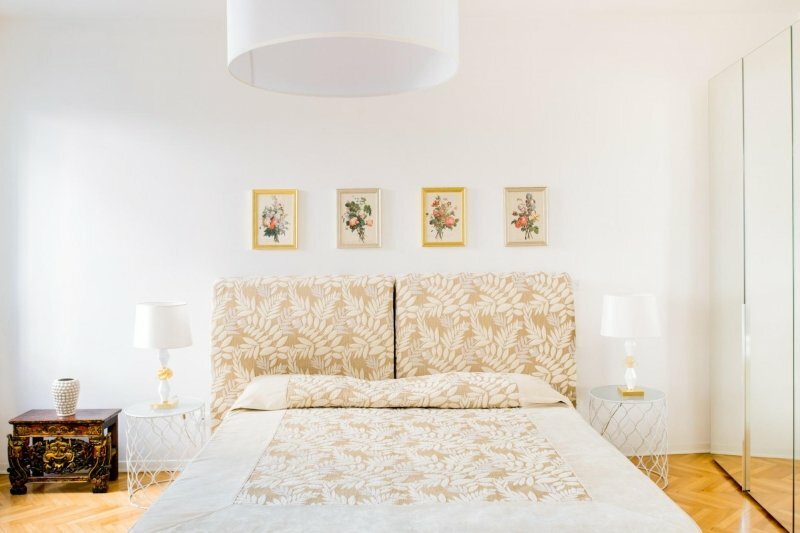 This beautifully decorated apartment has everything you need to make it feel like home: a comfy bedroom and generous living room, as well as kitchen, dining, and laundry areas. From here, you can take a short walk to sights like the Grand Canal, Piazza San Marco, and Ponte di Rialto. You’ll also want to lounge in the spacious living room with a cup of coffee or tea, or a glass of Prosecco provided by your gracious superhost, Riccardo! Learn more about this Airbnb here. 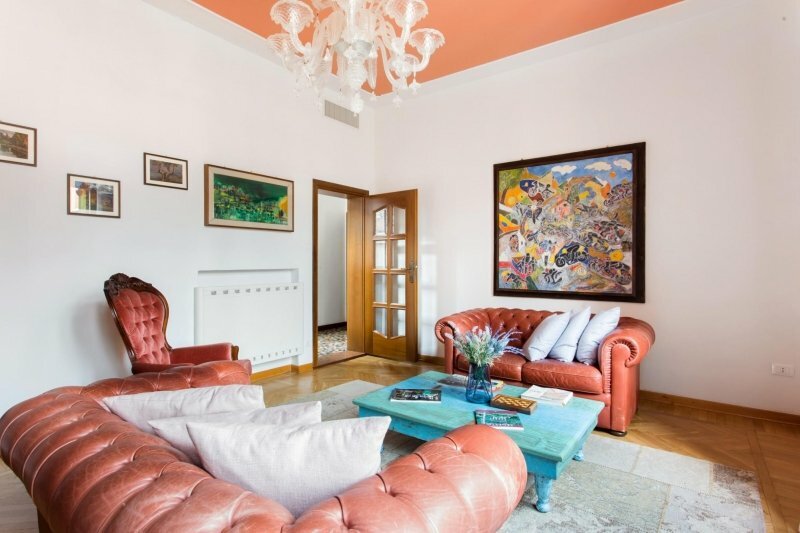 This apartment is located in the Cannaregio district, close to the popular Jewish Ghetto. As spotless as it is stylish, this three-bedroom apartment can comfortably house up to six guests. From here, it’s an easy walk to the train station and vaporetto stop; there are lots of pubs, restaurants, and shops nearby as well! Learn more about this Airbnb here. A contemporary apartment with touches that give it an Old-World vibe, walking into this Airbnb is something like stepping into a modern-day Shakespeare novel. 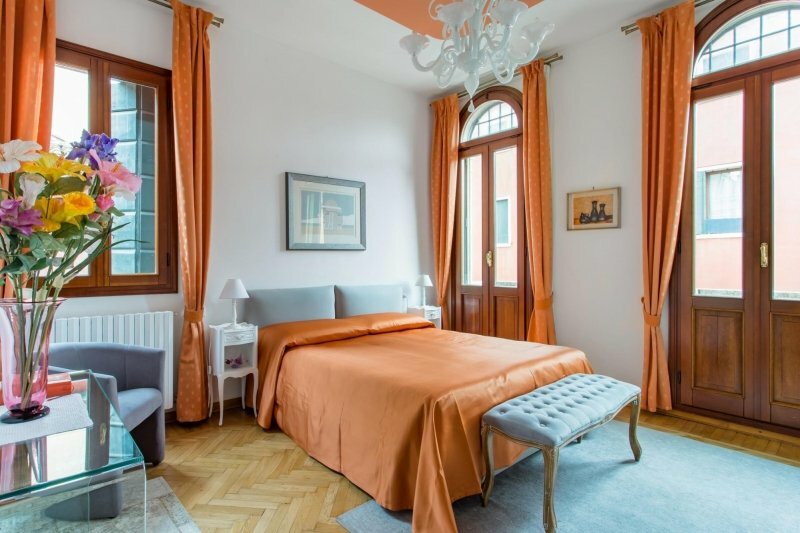 Located in a bustling neighbourhood away from Venice’s touristy spots, this apartment is a great choice for an authentic Venetian stay. The fact that it’s easily accessible from the train station (in other words, no need to take a long walk on a cobbled path with your luggage) makes it an even more attractive choice! Learn more about this Airbnb here. 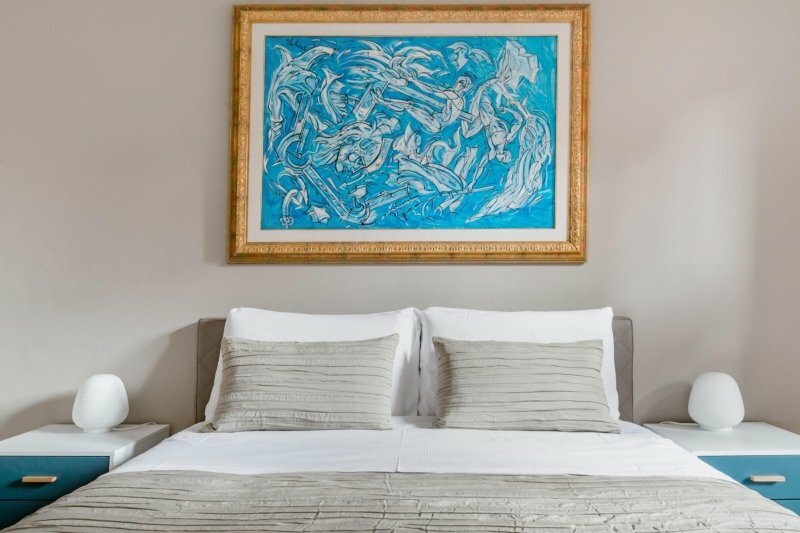 Despite being off the beaten path, this three-bedroom home with hotel-quality amenities is less than ten minutes away from Venice’s main attractions. Of all the beautiful, cosy spots around this Airbnb, the rooftop terrace is a definite favourite. This listing falls on the pricier end of the spectrum, but reviews from previous guests reveal that it’s worth the hefty price tag! Learn more about this Airbnb here. 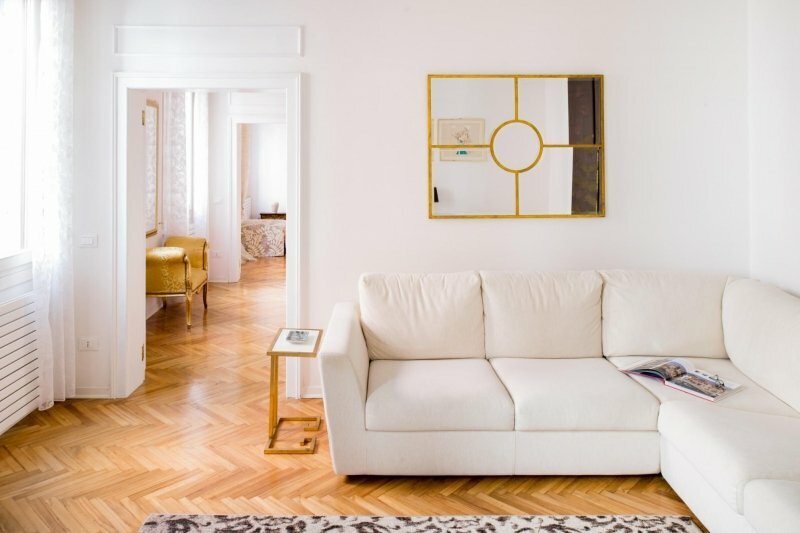 We hope you enjoy your beautiful Airbnb home in Venice — oh, and the rest of the city, too!